Clean up the brushing and it is a good looking watch. The 2 things holding me back are the price and the possibility that Steinhart makes a 39mm Ocean Vintage GMT. Under $1K or without the 9:00 logo and I'd get it in a heartbeat. Love how you would almost swear that these could be vintage ! them, but also some eye-catching excitement in almost every millimeter. ..Awesome Terry !!! Hadn't seen this. Thanks a lot ! 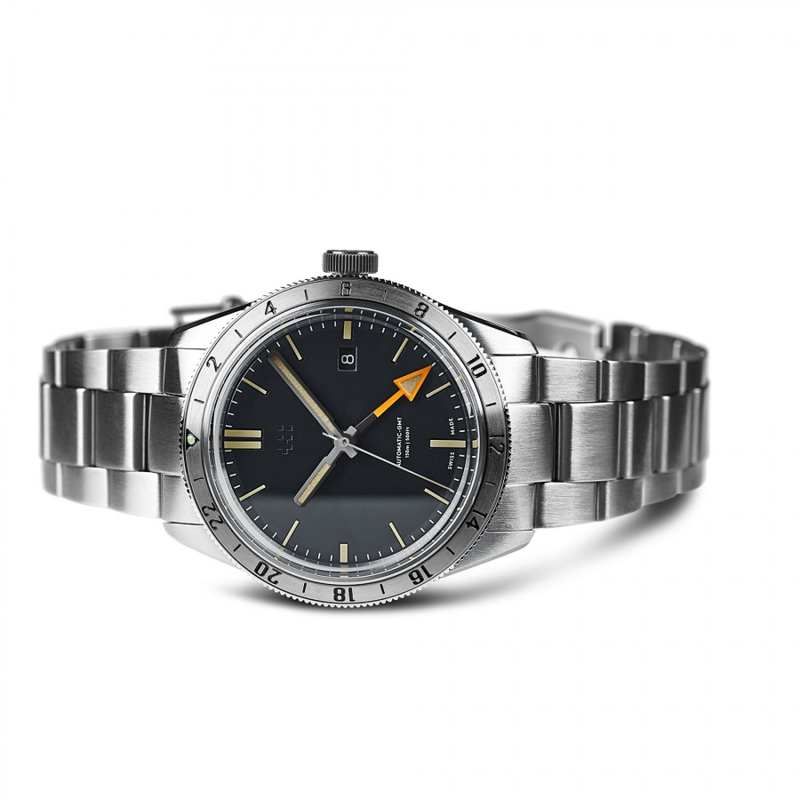 If the 1655 was able to fit "OYSTER PERPETUAL DATE" between both "ROLEX" and "EXPLORER II" all under the crown, I'm pretty sure CW can pull the "modern vintage" look with just the capitalized name under the twin flags with that font. It'd be nice to find out their reasoning behind the left justified mixed case logo. Spelling out the name in some way, I take, is for building brand recognition, but the other stuff I still don't get. I'd like to add 1655 lumed 24-hour markers, but that's pretty minor compared to the controversial logo.